Participants are given for free of charge: guarded camping site, parking for cars and trailers, crane for lifting and lowering the yachts. 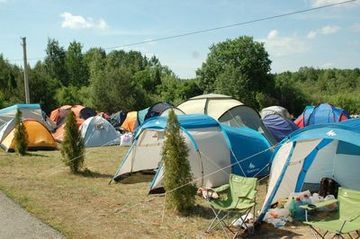 Organizers also suggest several options to accommodate participants and guests of the competition nearby the water station of "Krivsk". The boarding house Krivsk is located in 30 km from Pskov on the shore of Pskov lake, in the pine forest. Its territory strethes on 90 acres. "Krivsk" consists of modern blocked cottages, 2-storeyed houses, recreational complex with 25 m swimming pool, water park, sport hall and gym, buildings of maintenance facilities, boat&lifeguard station, piers and sand beach with facilities.